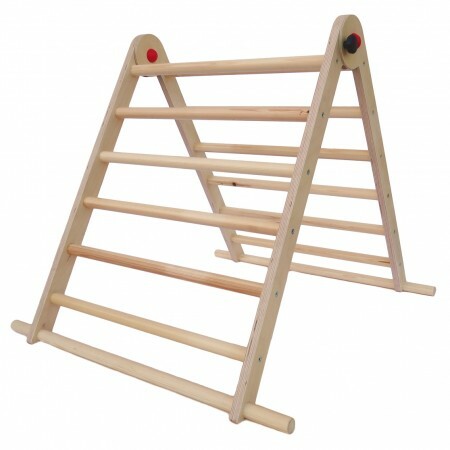 A classic activity triangle climbing frame perfectly formed for your little climbers. 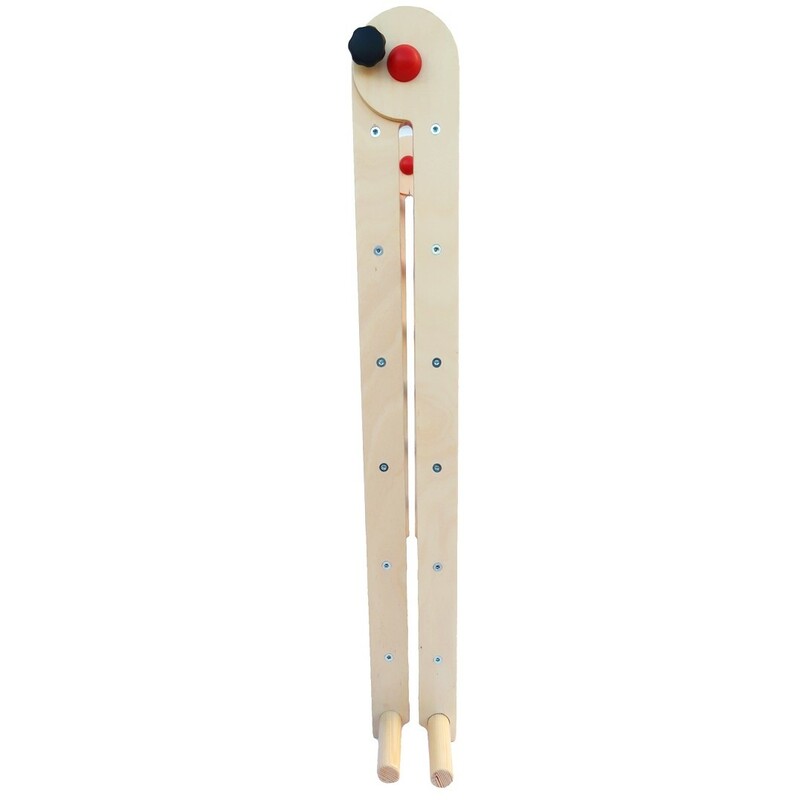 The Triclimb triangle encourages children to climb and discover through their own experience developing gross motor skills, strength and confidence. 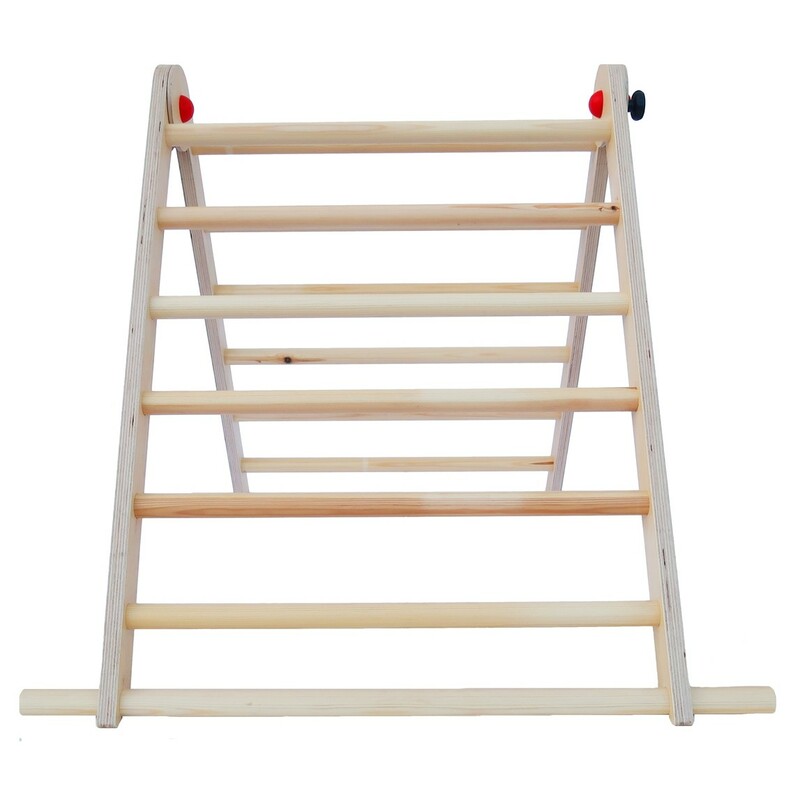 Each step on the ladder is a new achievement. 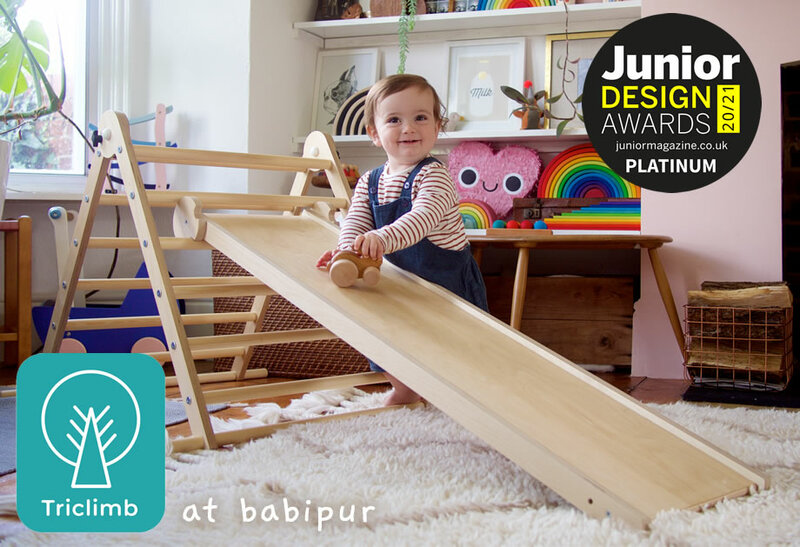 Suitable from birth and once children have the strength they can experiment by pulling themselves up, reaching and grabbing onto the rungs. As confidence grows children can begin to climb and eventually reach the top. 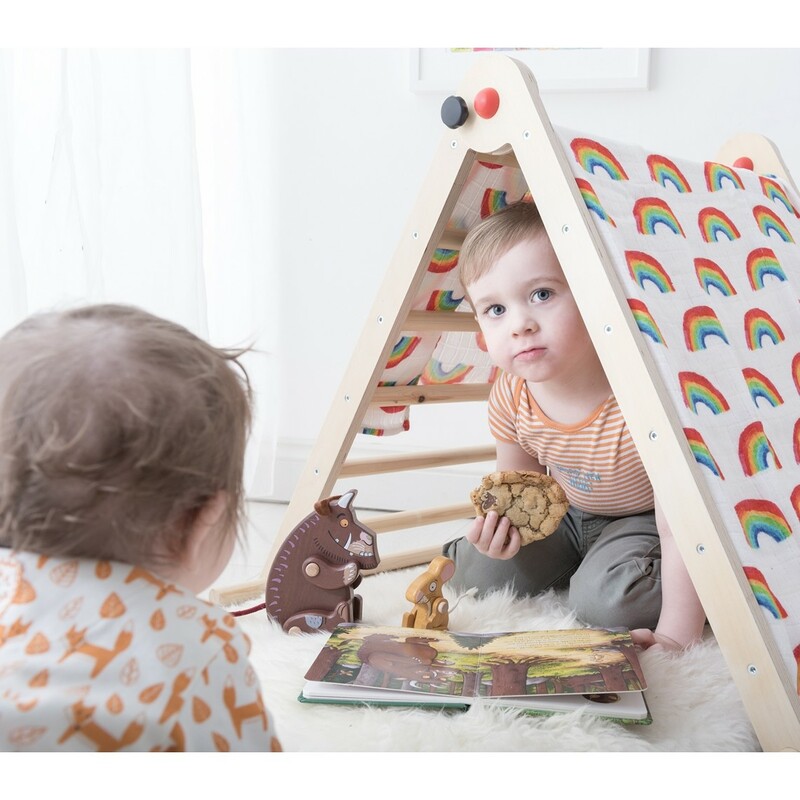 With the simple addition of a blanket Triclimb can be transformed into a tent or den, used as a quiet place or a reading space adding. Each triangle is hand made in Wales with care and love from FSC/PEFC sustainable wood and finished with water based protective lacquer. Unscrew the knobs to simply fold the triangle flat for easy storage. 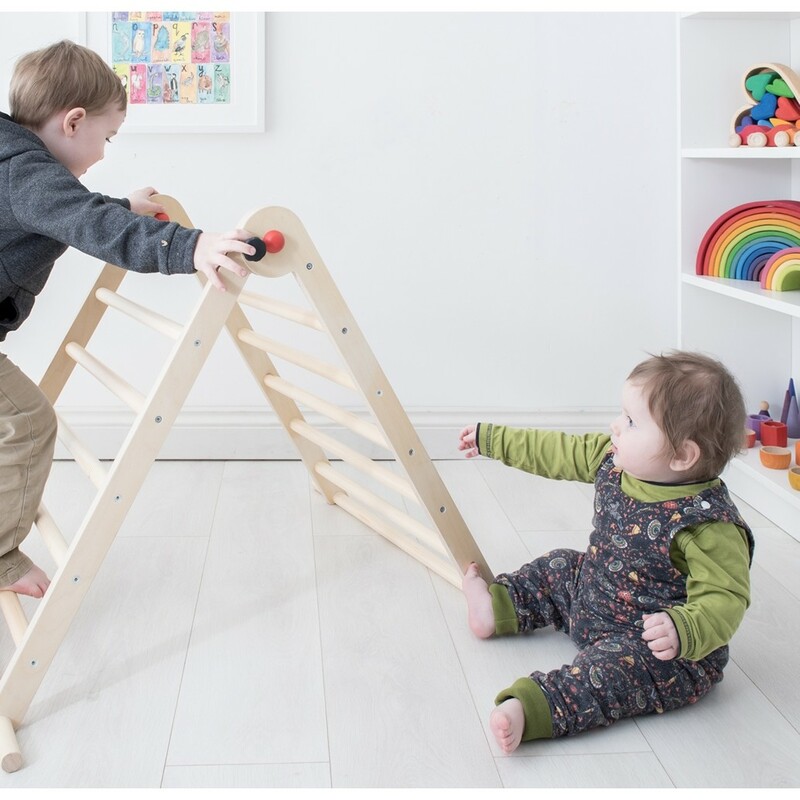 The origins of the Pikler triangle climbing frame come from Emmi Pikler a Hungarian Paediatrician who pioneered theories on child development in the 1930/40s. Centered around a respectful relationship between infant and parent as well as natural progression of motor development through free movement and play. Emmi Pikler believed it was important to offer children the opportunities to move naturally according to their inherent ability.